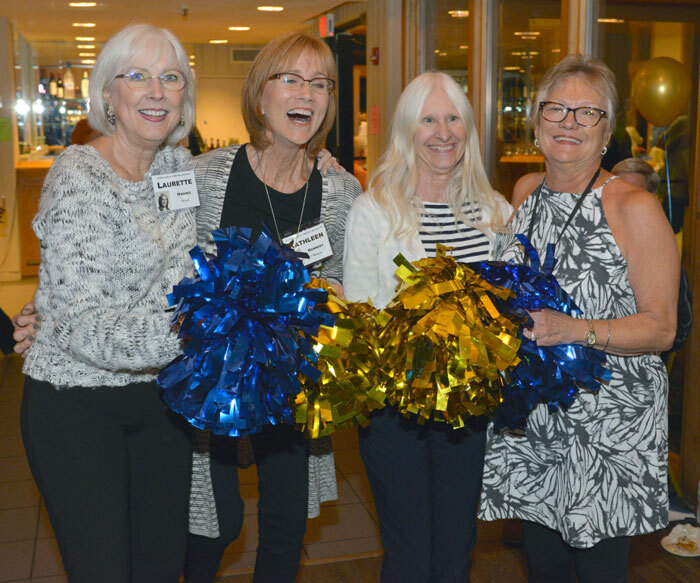 On Friday, September 21, 2018, Lyons Township High School’s Class of 1969 reconnected with 278 peers of 50 years ago at the Oak Brook Bath & Tennis Club. The reunion is typically two days. This year it was three, spanning from Thursday to Saturday. The evening at Oak Brook Bath & Tennis Club was just one piece of the reunion. Of the 23 venues class organizer Bobbi Burgstone viewed, she decided on the Clubhouse because of its convenient location, remote setting, surrounding natural beauty and reasonable rental fees. She also appreciated its elegant interior, finding the windows and stone fireplace to be a complementary use of design and space. The event staff on-site was friendly and accommodating, offering to allot for staging on Thursday night to make the event setup easier.. Marianne Long, marketing and event manager, helped make for a smooth setup and easy process. Jim Thorpe of Thorpe Photography was on hand to take group shots of classmates. Other vendors who helped the classmates’ special day shine included Marquee Events, who provided staging. The Malemen, whose band members included seven classmates and a talented non-classmate friend, provided musical entertainment for the evening. A Sound Education provided rentals. Finally, Tasty Catering provided the event’s food and bar service. Guests were able to move from room to room with ease. There was room for the band and dancing in the Oak Brook Room. Food was served in the Saddle Club Room. And classmates enjoyed selfies and desserts in the Pre-Function space. Speaking of dessert, it hit the spot! Guests indulged in mini dessert bars with flavors that included Oreo Dream, Caramel Apple Granny, Marble Cheesecake and Lemonberry Jazz. There were also cheesecake bites of various flavors. 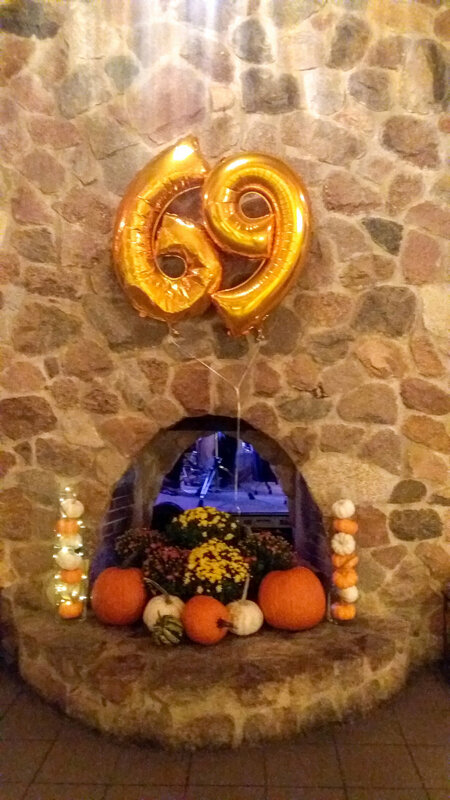 It truly was a fun night of bonding and catching up on other people’s lives over the last 50 years. Some classmates made extra long trips to attend the event, one even flying in from Australia. One special moment featured the cheerleading team leading the school song. This was one moment of an entire night of memories that certainly brought back years’ worth of them. The fun spilled into the next day. Many LTHS alumni visited the high school for a tour and rode in the parade, attended the football game and one last party on Saturday night.